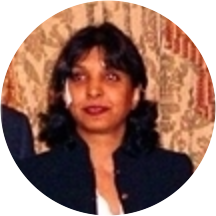 Dr. Sandhya Nayak is a female Board Certifed Ob/Gyn specialist with 24 years of experience in the field. She has varied experiences in the field and is offering all Gynecological services at this office. Other services that Dr. Nayak specilaises in include Perimenopausal counseling, Osteoporosis prevention, Gynecological cancer screening, Annual gynecological check, Family planning counseling Contraceptive counseling , STD prevention and treatment. Dr. Nayak has been a meritorious student with awards of Gold Medals and numerous accolaides for academic excellence during her training. She was the recipient of Eli-Liley Grant award towards Osteoporosis from American college of Ob/Gyn (ACOG) in 2008. She believes in minimally invasive treatments.